If there is reasonable risk arms sold by Canada could be used in humans rights abuses, it shouldn’t proceed with the deal, says Thomas Woodley, President of Canadians for Justice and Peace in the Middle East (CJPME). Ottawa is investigating allegations Saudi Arabia used armored vehicles made in Canada against civilians in the Shia dominated town of Awamiya. The suspected incident has sparked fresh calls from human rights activists for Canada to review its $15 billion arms deal with the kingdom. Saudi Arabia was ranked among the top destinations for Canadian arms exports in 2016; the military purchases were worth Can$142 million. Thomas Woodley, President of Canadians for Justice and Peace in the Middle East (CJPME) said the allegations Riyadh used Canadian-made vehicles in Awamiya did not come as a surprise. “Like many human rights organizations in Canada, we weren’t surprised at all. About a year ago last summer there were reports from Saudi Arabia, there were videos of similar vehicles being used against the civilians in Saudi Arabia, and it was by chance that it didn’t happen to be Canadian vehicles. So the fact that it was Canadian vehicles this time comes as no surprise because obviously the Saudis have bought Canadian arms,” he told RT. 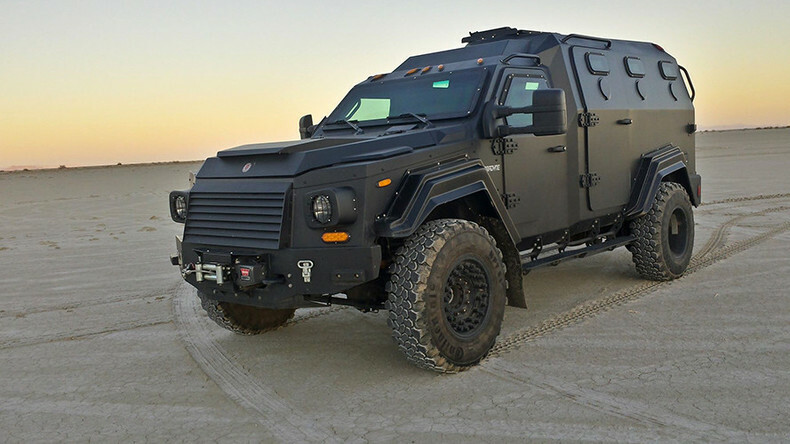 The vehicles allegedly used by Saudis in the violent crackdown in Awamiya, shown in a video footage that circulated on social media, are reportedly not part of Ottawa’s contract, but a deal with Canadian company Terradyne Armored Vehicles. “Canada’s export control laws, the actual criteria by which the sales should be approved or not approved is whether there is a reasonable risk the arms being sold could be used in humans rights violations. Canada doesn’t have to sell vehicles and then have Saudi Arabia use them in human rights abuses for then to close the deal, there simply has to be reasonable risk. So the fact that other Canadian vehicles are being used in human rights violations in Saudi Arabia - that is sufficient evidence to demonstrate there is reasonable risk the current equipment being sold to Saudi Arabia would also be used,” he explained. According to the rights activist, if there is such a risk, Canada shouldn’t proceed with the deal. However, financial interests often prevail over human rights concerns, the activist said. According to the activist, the CJPME and several other human rights organizations in Canada tried very hard to get the Justin Trudeau government to abandon the deal last year, but they chose not to.